“If you want to seed a place with activity, put out food.” – William H. Whyte. Packed with food, music and flowers, some fresh food markets have become popular tourist destinations in cities worldwide. Travelers weary of big-box supermarkets and chain restaurants can find fresh local food at locations such as Thailand’s floating market or the triangular rooftop fish market in Turkey. Across the globe, and especially in Asia and Europe, fresh food markets play a major role in making neighborhoods walkable and livable. Typically, these markets are located around highly populated and dense residential locations, allowing diverse groups to easily access fresh produce, goods and services by walking or biking close to home. For example, markets in Barcelona are accessible to individuals of both high and low incomes, all within a 10-minute walk. Local markets also provide additional benefits, including access to healthy food at an affordable price, increased physical activity, social networking within communities, and local economic activity. For example, in Barcelona, one of world’s greatest market cities, “eight thousand vendors work at over 40 public markets throughout the city, supporting 65 million visitors a year and a €1 billion turnover.” Moreover, historic markets play a part in preserving local culture and heritage. 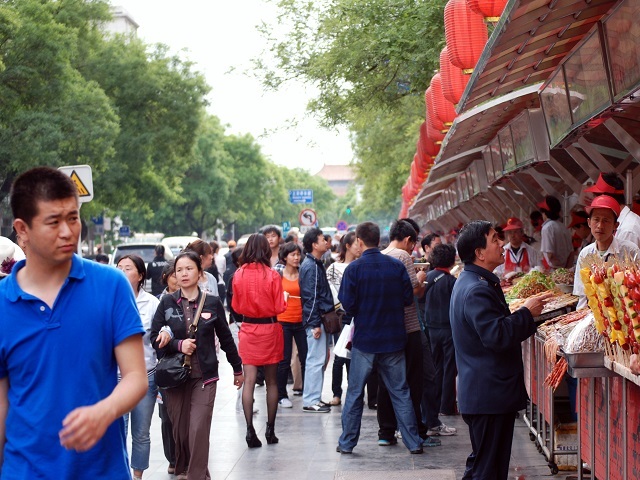 Many Chinese fresh food markets are becoming more customer-oriented and are getting more creative in their operations. Having reopened this past September, Beijing’s oldest Dongdan market provides a new home delivery service for elderly customers. To attract younger patrons, the market now supports digital payments and has diversified services, offering traditional market stalls, cafes and restaurants. Moreover, Dongdan market gets fresh fruits and vegetables directly from three nearby suburban farms, supporting local businesses. Finally, while some see fresh markets as expensive venues, compared to supermarkets, Dongdan market’s prices are 30 percent cheaper. Secondly, in Hutong, Beijing, a group of aspiring urban planners launched the project “Future Fresh Food Market” at Tiantao market in the Dashilar neighborhood. As part of Beijing International Design Week, and to build momentum behind a local market, the organizers brought together vendors and locals to take part in a revitalized marketplace. At the market, residents were able to buy fresh fruits and vegetables in a bright, clean and inviting environment. Other booths presented small plants and flowers, craft arts, and shared recipes, nutrition information and recycling tips. 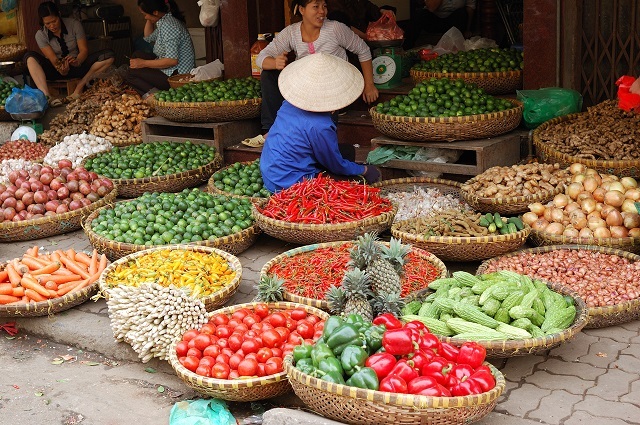 In Hanoi, HealthBridge—an Ottawa-based NGO—collaborated with local government officials, planners, architects and residents through the Livable Cities project to rejuvenate local markets. To assess and meet the needs of the local fresh markets, the NGO conducted site visits, held community workshops, created maps, organized media awareness campaigns and developed partnerships. Overall, their efforts influenced the government’s decision to save the markets, which service 270,000 residents and provide 2,700 vendors with steady income. Moving forward, the short-term priorities for the markets are to improve the venues and better manage food safety, fire prevention and waste disposal. 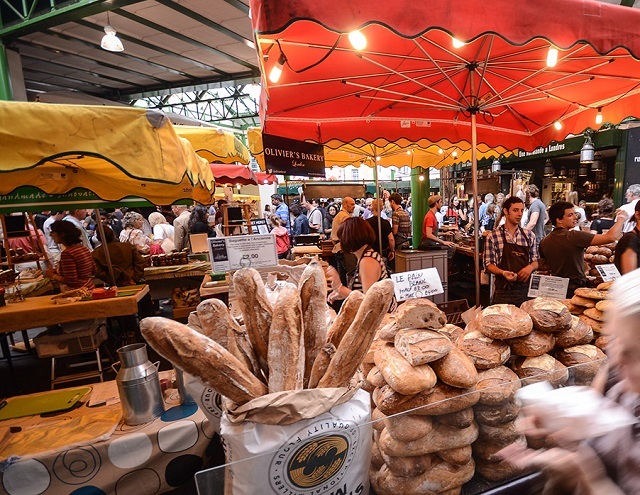 While some communities are having success saving individual markets, London has scaled up its efforts to revitalize local food markets across the city. In 2014, city authorities and the private sector worked together to develop Sustainable Urban Markets: An Action Plan for London to put into place citywide measures to support fresh markets. Within the Action Plan are twenty-eight proposals, each falling under four key areas: (1) strategic, legal & regulatory; (2) regeneration; (3) employment & entrepreneurship; and (4) low carbon & sustainability. The plan emphasizes the need to provide access to cheap and healthy food, support micro business through training and skills development, meet customer needs through flexible opening hours, promote sustainable supply, and recycle food waste. In sum, fresh food markets are vital to a community’s health and wellness, and benefit people socially, culturally, and economically in ways that are often underestimated. However, despite their numerous advantages, many local markets are struggling to get by, and need communal support to remain open. Decision makers, activists and locals should devote more effort to identifying the needs and concerns of consumers and vendors, involving them in urban planning processes. Otherwise, more and more food markets—who help connect local farms with residents—may lose out to supermarket chains.